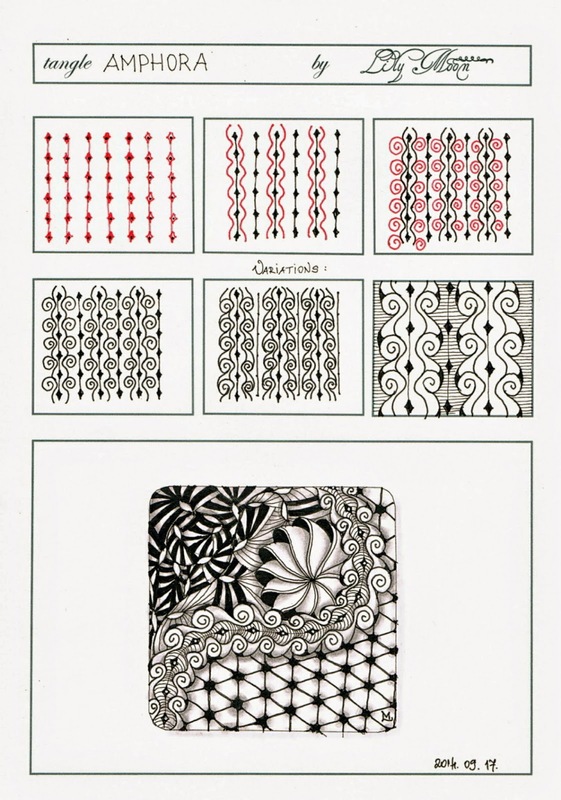 Lily's Tangles: My new Tangle Pattern "Amphora"
My new Tangle Pattern "Amphora"
Recommended view: right click on picture and Open image in new tab. fantastic to see yuma in the combination with all this other wonderful tangles. thank you.amphora looks great, i sketch it down right now, to give it a place in my next zentangle. thank you. I am also adding Amphora to my list of tangles. Lovely tile. dear lily, amphora is a great pattern .thank you so much. if you go on my blog you see what i did with it. have anice week. Beautiful tangle. I just drew it in my book and it looks wonderful. Can't wait to try it on a tile, next. Hi Lily, I'll definitely be trying this one - looks great and your tile is super duper! I love your work. I don't think I've seen any thing of yours that I haven't liked. I always look forward to getting your emails. This is lovely, Lily and wonderful pattern!! Lily Moon you are a very impressive artist. 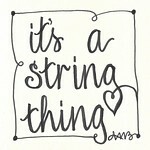 I love your version of It's a string Thing challenge 113. Beautiful! 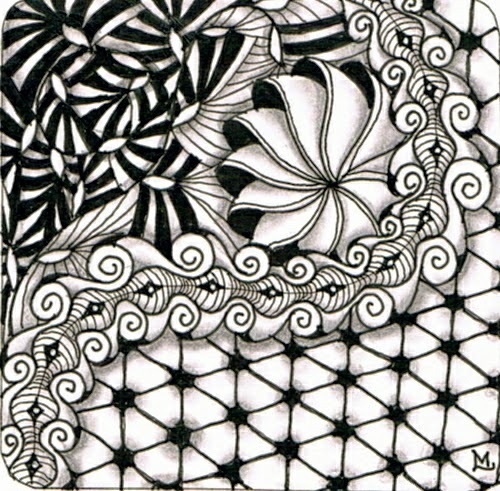 This blog is not associated with Zentangle Inc. in any way. 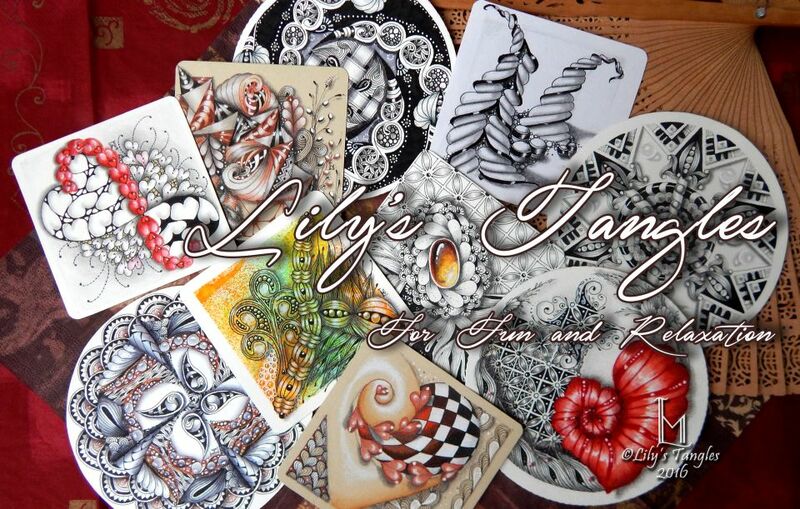 The text, photographs, step outs and design work is © Lily M. It is for inspiration only, and may not be copied for profit or publication-including reproduce my tiles or stepouts through drawings or videos. Lily M.
All images on this site are property of Lily Moon unless otherwise stated.. Simple theme. Powered by Blogger.